How to Get Rid of Psychosis Naturally? A psychotic disorder is a mental disorder. People suffering from this mental disorder experience hallucinations and delusions. Hallucinations are sensory experiences when no actual stimulus is present. For example, a person may feel that a snake is on the bed when actual snake is not present. Hallucinations may be audio or visual or both. Delusions are the thoughts that do not match with the actual evidence. A person feels alone in life and there is no social contact. These experiences are frightening and person suffering from psychosis may cause harm to himself or others. It is important to meet a qualified and experienced doctor when anyone suffers from such a mental disorder. There is difficulty in concentrating on any work. A person is not able to accomplish the given task. 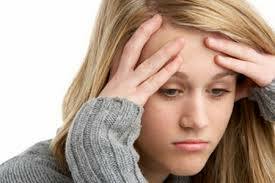 Depression and anxiety is common in people suffering from psychosis. A person wants to live alone and does not want to live in the company of friends and family. Hallucinations and delusions occur commonly in people suffering from psychosis. A person suffering from psychosis may have suicidal thoughts and actions. People suffering from psychosis may take remedies for depression and anxiety that may produce harmful effects on the functions of other organs. Herbal remedies provide support to the brain cells and help in the natural psychosis treatment. 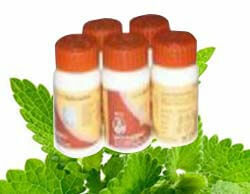 Herbal remedies are safe and natural and do not produce any side effects. Package for psychosis consists of natural remedies that help to nourish the brain cells and help to get rid of psychosis symptoms. Divya Ashwagandha Churna – It is a wonderful natural herb that helps to deal with any kind of mental disorder. It calms down the brain and helps to get rid of depression and anxiety. It also boosts up the immune system and helps in providing energy to the body cells to get rid of the symptoms. Divya Medha vati – This is a natural herbal supplement that provides benefit to the people suffering from psychosis. It provides energy to the brain cells and helps to get rid of depression and anxiety. It also helps to improve sleep and other symptoms of psychosis. It also improves concentration and is a wonderful natural tonic for the brain. Divya Lauh bhasama – This provides iron to the blood cells and help to supply proper oxygen to all cells of the body. It also helps in effective functioning of the brain cells. It rejuvenates the whole body and acts as a natural supplement to cover up the loss of iron from the body. It also improves concentration and helps to reduce fatigue. Divya Mukta Pishti – This is a useful ayurvedic herb that provides relief from the symptoms of psychosis. It helps to reduce anxiety and depression. It also improves sleep. It helps in the normal brain functioning. It also reduces panic attacks. It also gives relief from delusions and hallucinations and relaxes the mind naturally. Divya Rajat bhasama – This is an excellent herbal supplement that provides nourishment to the brain. It provides nutrition to the brain cells and help to get rid of panic attacks. It calms down the brain and removes toxins from the body. It also reduces depression and helps to remain joyful. It helps to reduce stress and anxiety naturally. Divya Medha kwath – It is a wonderful remedy for improving concentration. It also helps to get rid of anxiety. It improves sleep pattern and gives relief from hallucinations and delusions. A person feels fresh and relaxed after taking this herbal remedy on a regular basis. It is a natural brain tonic that nourishes the brain. Divya Ashwagandha capsules – It is the most important herbal solution to get rid of stress and anxiety. It helps to balance the hormones that reduce stress. It relaxes mind and gives relief from depressive symptoms. It reduces suicidal thoughts and tendency in a person with psychosis. It also helps to make the mind strong. Divya Badam rogan – This is a natural brain tonic as it is made out of natural extracts of almonds. It is a wonderful herbal solution for psychotic patients. It also gives relief from stress. It helps to improve concentration. It is a natural brain tonic and increases the supply of nutrients to the brain cells. Take remedies 1 to 5 and mix them together. Make fine powder of medicine No. 2 Medha Vati before mixing. Divide in 60 parts. Take 1 part in morning and 1 part in evening with water after meals. Add two teaspoons of medicine no. 6 in two glass of water. Boil the water until it reduces to half of the quantity. Drink the remaining water, two times in a day. Take one capsule of medicine no. 7 in the morning and one in the evening with water after meals. II- Take one teaspoon of badam rogan oil and add in one glass of hot milk and drink it daily to get good results. People suffering from psychosis can also eat healthy diet to supply proper nutrition to the brain cells. A diet rich in natural fruits and vegetables is a useful way to supply proper nutrition to the body. Meditation also helps to reduce stress and anxiety. One should do yoga and meditation regularly to prevent delusions and hallucinations. Reduce intake of caffeinated drinks such as coffee and soft drinks. Also reduce intake of alcohol to get rid of symptoms of psychosis. Drink more water to remove toxins from the body and for the healthy functioning of the body.